December, already? Well, the Christmas ads have been on telly for over a month and the radio is playing all the old Christmas songs, so it must be. Actually this December marks a very special anniversary: 50 years ago, men went to the Moon for the very first time. 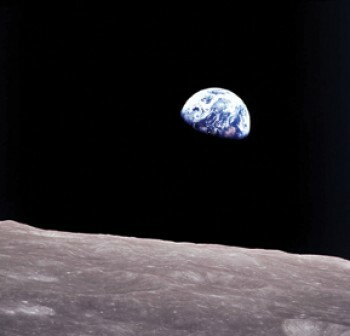 Probes had been there before but Apollo 8 was the first spacecraft to carry human beings. They didn’t land, of course; that was to be six months later, but it was the first time a Saturn V rocket was launched with men on board and they decided that it should do what it was designed to do – go to the Moon. It meant the crew were away for Christmas and they took one of the most famous photographs of all time (below). Back down here on Earth, Mars is still with us after six months, although not as bright as it was back in the summer. Look for it in the south as soon as the sky has gone dark. It really has been a treat this year and it’s good to hear that NASA has managed to get its remaining rover, Curiosity, working again after a glitch in October. It had a memory problem which was cured by switching to a back-up system. I wonder if they could help me? Mars is now the only bright planet in the evening sky, although Neptune is close by – but that is for a good telescope, as is Uranus over to the left in Pisces. A crescent Moon wanders by from the 14th. If you’re up and about early in the morning, Venus rises just before five o’clock and is visible in the south east till the Sun obliterates it at about eight. You may get a glimpse of Jupiter just before this. A thin crescent Moon is here too for the last few days of the month. This month also sees two more exciting Solar System events. The first of these is the Geminid meteor shower which peaks on the night of the 13th, but look for them anywhere in the sky for a good few days either side of this date. The second is the close approach of comet 46P/Wirtanen which occurs on the 16th. It was originally thought that this comet would be visible to the naked eye around this time but latest predictions are less optimistic. What is known is that all comets are a bit unpredictable, so keep your eyes peeled for a fuzzy blob moving up the sky between the Pleiades and Taurus for a few days either side of this date. A good pair of binoculars should be able to pick it out. Russia is set to launch three astronauts to the ISS on the 3rd of the month, the first launch since the failure of a Soyuz on the 11th of October, so look out for that. The USA should launch a re-supply vessel on the 4th so there may be a bit of a spacecraft traffic jam at the ISS at this time. This may make one or the other visible from Alvechurch, so go to http://www.heavens-above.com for times and places – and don’t forget to look out for the unknown flying object that always crosses the night sky on the evening of the 24th!